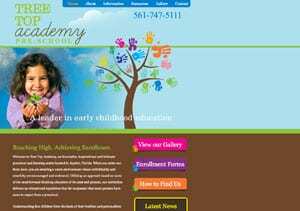 Tree Top Academy is an innovative, inspirational and intimate preschool and learning center located in Jupiter, Florida. When you enter our front door, you are entering a warm environment where individuality and creativity are encouraged and embraced. Utilizing an approach based on some of the most forward-thinking educators of the past and present, our institution delivers an educational experience that far surpasses what most parents have come to expect from a preschool.